Pomp&Circumstance or Penelope as she is know on the farm was one of five two-year-olds in 2018 but easily earned her spot on the showstring, even as a first freshener. As a kid, Penelope was the 7th Place Junior Kid at the 2016 ADGA Nationals. 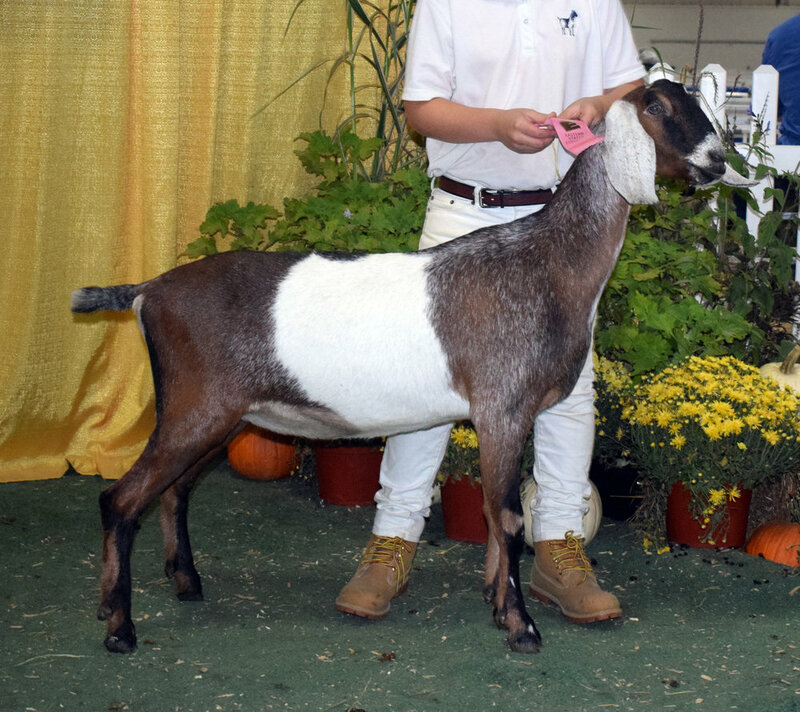 In 2018, she had several successful shows, including placing first at the 2018 INBA District 2 Specialty Show. I love her mammary system, especially her wide, and snuggly attached rear udder. A very young doe, we are anxiously awaiting her second freshening as a three-year-old. I cannot wait to see what 2019 and beyond will do for her!